Myotonic dystrophy type 2 (DM2) is a slowly progressive, autosomal-dominant disease. This is a multisystemic disorder that affects the heart, which is one of the main causes of morbidity and mortality in DM2. The aim of the study was to define cardiac impairments in patients with DM2 and its association with sociodemographic and clinical features of patients. 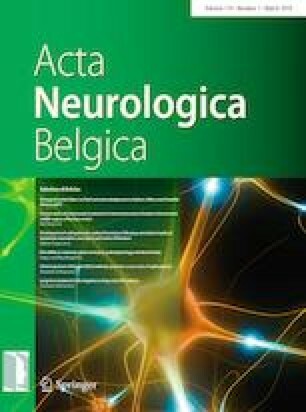 This retrospective study comprised 62 adult patients with DM2 hospitalized at the Neurology Clinic, Clinical Center of Serbia from 2013 until 2018, who underwent electrocardiography (ECG) and echocardiography examinations. Hypertension was observed in 42% of DM2 patients. One-fifth of DM2 patients had bradycardia, while other conduction and rhythm impairments were rare. Only one patient had a pacemaker implanted because of the first degree AV block associated with incomplete left bundle branch block. Echocardiography showed diastolic dysfunction of the left ventricle in 44% of patients, while systolic dysfunction was found in only 4%. Cardiomyopathy was observed in 18% of patients, of whom three-fourth had dilated type. Cardiac conduction and rhythm defects are relatively rare in DM2, while diastolic dysfunction is common. This suggests that regular ECG and echocardiography screening is needed in DM2. Adequate therapy should be introduced in patients with DM2 on time to reduce the frequency of heart complications and to prevent premature death. This study was supported by the Ministry of Education, Science and Technological Development of the Republic of Serbia (Grant #175083). This study was funded by the Ministry of Education, Science and Technological Development of the Republic of Serbia (Grant #175083). Stojan Peric declares that he has no conflict of interest. Bogdan Bjelica declares that he has no conflict of interest. Ksenija Aleksic declares that she has no conflict of interest. Masa Kovacevic declares that she has no conflict of interest. Edita Cvitan declares that she has no conflict of interest. Gorana Mandic Stojmenovic declares that she has no conflict of interest. Vidosava Rakocevic Stojanovic declares that she has no conflict of interest.